Last week we discussed how many English idioms come from sports (. This week’s idiom — “getting a second wind” — is originally from sailing but many people today use it in connection to running. 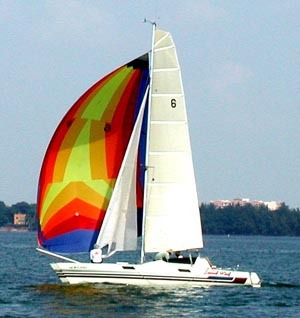 A “second wind” was an extra wind for a sailboat that helped to win a sailing race. However, today, most people associate this idiom with RUNNING. This is because, after getting tired in the middle of a race, many racers see (or think about) the finish line and it BOOSTS their MOTIVATION and energy. Even though they have been running for a long distance and are tired, they suddenly find the energy to run as fast as they can to the finish line. But we can also use this idiom today for any activity or situation in which you became tired but then found the strength to push on and finish up STRONG. This entry was posted in English Blog and tagged English, english conversation, english expressions, english idioms, f1 student visa, F1 Visa, form i-20, idiomatic language, slang, speaking english, sports english, sports idioms, student visa, study english US, study in the US. Bookmark the permalink.